So you have just got your carpet cleaned but how do you maintain it. While it’s not all that expensive to get a professional carpet cleaning company to come back to your home after three months to do another round of carpet cleaning. It’s much better on your wallet to only have to do it every six months. One of the biggest mistakes you can make is thinking you know better than the carpet cleaning company that just cleaned your carpets, who clean carpets day in and day out. Yes, some people still think they know better, a little odd, right? So the mistake you shouldn’t make is to walk on the carpet before you were told to. The professional carpet cleaning company will likely tell you the carpet will need a few hours to dry and there was a reason for that! You can damage your carpet. Walking on the carpet with shoes damages the carpet. Everyone knows this and your carpet cleaning company would have told you this also but there is a little known fact about walking on carpets that most people don’t know and that is those bare feet just after professional cleaning took place do more damage than shoes. The natural oils in your feet will be absorbed by the carpet and cause damage. What actually happens is that oil then attracted dirt and grime over time. So as time goes by you will start to see a footprint in your carpet but they will not be fresh they will be from when you walked over your carpet after it was cleaned by a professional. For the few days after getting your carpets done don’t walk on the carpet with shoes or barefoot. You’ll need to walk on your carpet so just wear socks as this solve the problem. The longer a stain stays on the carpet the harder it is to remove and the more damage it actually causes to the carpet. It’s that simple. Be prompt with getting a spill dealt with. Vacuum cleaning is not just about making the carpet look nice and getting that freshly cleaned smell in your home. That is a bonus. The real reason you want to clean carpets is to remove all the dirt, dust and sand that ends up in your carpet. The longer you leave your carpet the more damage your are doing. This is because all the foreign object in your carper rip up the carpet fibres over time. You can’t see most of them so you need to vacuum on a regular basis if your carpet looks dirty or not. This also applies, and in fact, applies more importantly, just after you have professional carpet cleaning done. As your carpet is more susceptible to damage when it was just professional cleaned. There you have it. 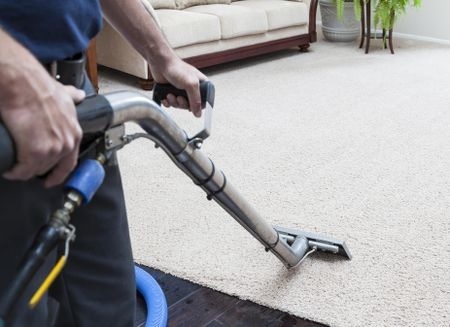 If you follow these tips and tricks after you get professional carpet cleaning done then you will extend the life of your carpets in your home.